I mean, this was written by April. Gorgeous April. Between the Devil and the Deep Blue Sea is one of my all time favorite books (I don’t care what anyone else says about it). I’ve re-read it about a bazillion times! This cannot be! The prose! The characters! The story! They were supposed to be so much more! The first good half of this book didn’t even have a story going on. Literally nothing happened. Midnight (the boy of the story) moves across town into a rickety old house straight out of some old movie. His neighbor is Wink Bell from the Bell farm, the weird girl who just couldn’t give a flying hoot of what anyone thinks of her strawberry overalls. Midnight is just glad to be getting away from Poppy, love of his life who, coincidentally., also made it a living hell. Starting off, let’s talk about those names, shall we? Someone’s quite the little special snowflake, huh? Make that someones. Literally every character in this book has the weirdest name. Midnight, Poppy, Wink, Leaf, Briggs, Lee Bee, etc, etc, . . .
To be fair, I like unique names. To a point. If I ever read a book with characters that only have names like Brittany, Brad, Chad, Ashley, etc, etc, . . . it’s most likely going to loose a star off the bat with me. Not that there’s anything wrong with those names, of course, but just that a little diversity doesn’t hurt anyone, yeah? The storyline didn’t really make sense. 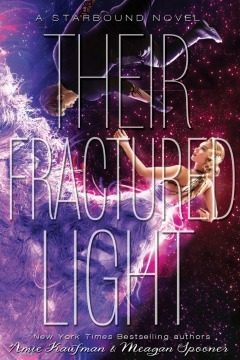 Like I said, nothing happened the first half of the book, and it was filled with nothing but gorgeous prose which actually was completely fine with me, since I’m already such an April fan already, but when we finally did get to the plot . . . it fell flat. This one thing happens. A stupid thing, none the less. It wasn’t even all that eventful. Then it just got confusing. This is one of those books that you can’t tell if what you’re reading is the truth. Partly this seems to be due to the fact that some of the characters might generally be insane. Normally, I’d love those things. Possibly insane characters, pretty prose, weird kids in a small town? So much potential. But it just didn’t work. Not enough went on; I never connected with any of the characters. 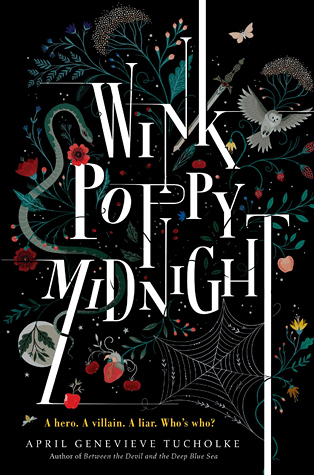 Poppy was the most interesting to me, and by the end of the book, I felt the worst for her. And then there was the fact that everything that I was reading somehow was connected back to some childhood fairytale that Wink is constantly going on about. 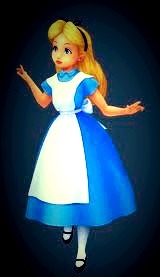 The girl’s insane about fairytales. Now, I have a thing for fairytales. I love it when old ones are incorporated into books or are based off them. But this was just ridiculous. I learned more about old tales than I did about this book.